As the capital city of Denmark, Copenhagen offers visitors the chance to view royal history and world-class culture, as well as experience the relaxed vibes of this European city. 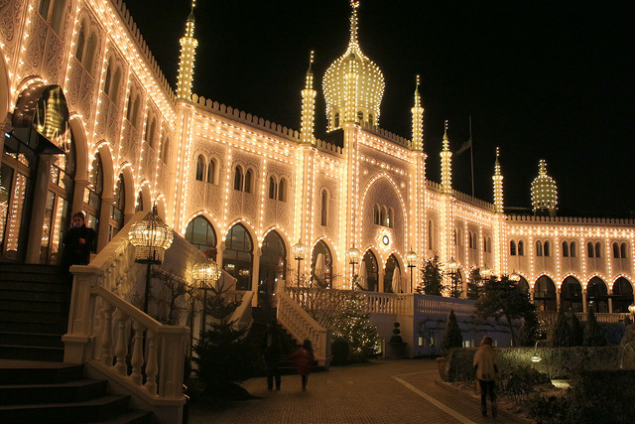 Many locals and tourists would agree that the Tivoli Gardens tops the list of not-to-be-missed sites in Copenhagen. This fantastic amusement park dates to 1843 and is widely credited as the inspiration behind the Disney theme parks. It’s easy to reach with your rental car, and there's plenty of discounted parking. Also set in the heart of Copenhagen is The National Museum of Denmark, a favorite and convenient destination. The impressive exhibitions feature items from all eras of Danish history, spanning from the Stone Age, the Vikings, and up until Modern times. Drive your rental car into the northern part of Copenhagen to enjoy the Botanical Gardens and many recommended attractions, such as the Rosenborg Palace. Used as an imperial residence until 1720, it is now a museum with a glittering array of royal treasures and Danish crown jewels. Nearby is the Round Tower, where Hans Christian Andersen wrote stories. The Round Tower is one of the oldest functioning observatories in Europe. 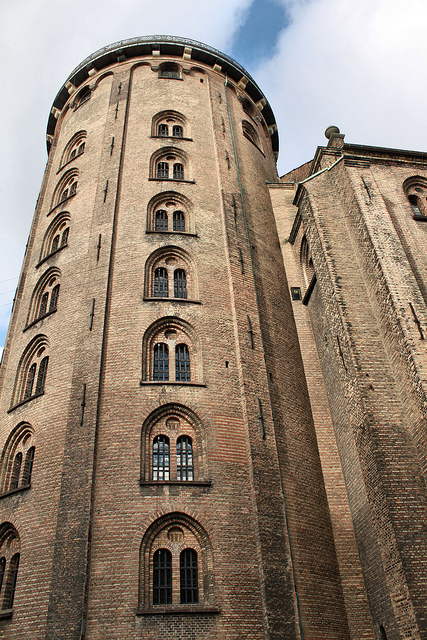 The top of the tower will awe you with amazing panoramic views of Copenhagen. Once you climb back down to ground, the charming streets and colorful houses of the Old Town are nearby. 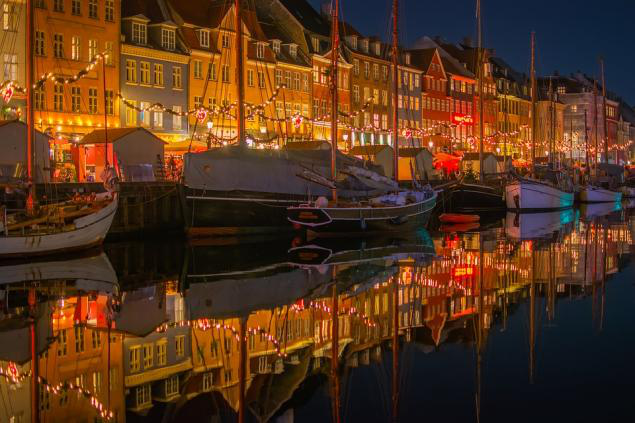 Nyhavn is a renovated and picturesque waterfront harbor that is about a five-minute drive from the city center. It is the perfect place to get a taste of the local café culture. Numerous museum ships are at anchor here, and you can hop on a sightseeing boat along the canal. Visit Carlsberg is another Copenhagen site that's a breeze to reach with your rental car and full of authentic Danish flavor. Learn about the origins of Carlsberg beer and taste the legendary brews. Paid parking is available throughout the district. To get the most out of your rental car, take a day trip to see more of Denmark. Copenhagen is well situated for many interesting journeys. With less than an hour’s drive, you can access North Zealand simply, where many World Heritage sites dot the magnificent sandy shores and seaside resorts. If you are visiting from the EU, Australia, USA, or Canada, you do not need an international license to drive in Copenhagen. In general, the driving rules and regulations are similar to the rest of the EU. Cars drive in the right lane and pass in the left. All passengers must wear a seatbelt, and children under 1.3 m/4.3 feet tall must use a booster or car seat. The speed limit in Denmark towns and cities is 50 kph/31 mph. On open roads, it is 80 kph/49 mph, and on major four-lane highways it is 130 kph/81 mph. These are strictly enforced. Bicycling is common in all parts of the city, and cyclists have right of way. When parking, you must always display a parking permit on your rental car dashboard (provided by the car rental company). It is prohibited to use a mobile phone while driving; only a built-in hands-free system is allowed (not a headset). If you have a lot of luggage and are more than 1 person traveling, you may want to let 1 person pick-up the car and return to the terminal to pick-up luggage and the rest of your party. If weather permits you may want to walk on the sidewalk with your luggage cart to the Car Rental Center about 1km/3300ft. 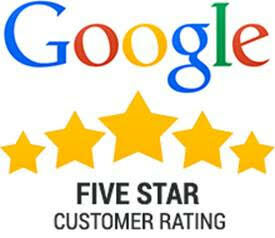 Please login to manage your rentals. Collision Damage Waiver deductible/ Excess 0Kr. We only have Tax-free Cars. Your permanent address must be outside Denmark.